I never thought I’d love going to summer school, but Kami Kinard and Sudipta Bardhan-Quallen have proven me wrong. Along with a fabulous faculty of kidlit writers and illustrators, these two innovative authors—the founders of Nerdy Chicks Rule—have created a blog-based community that focuses on a different aspect of the craft each year. 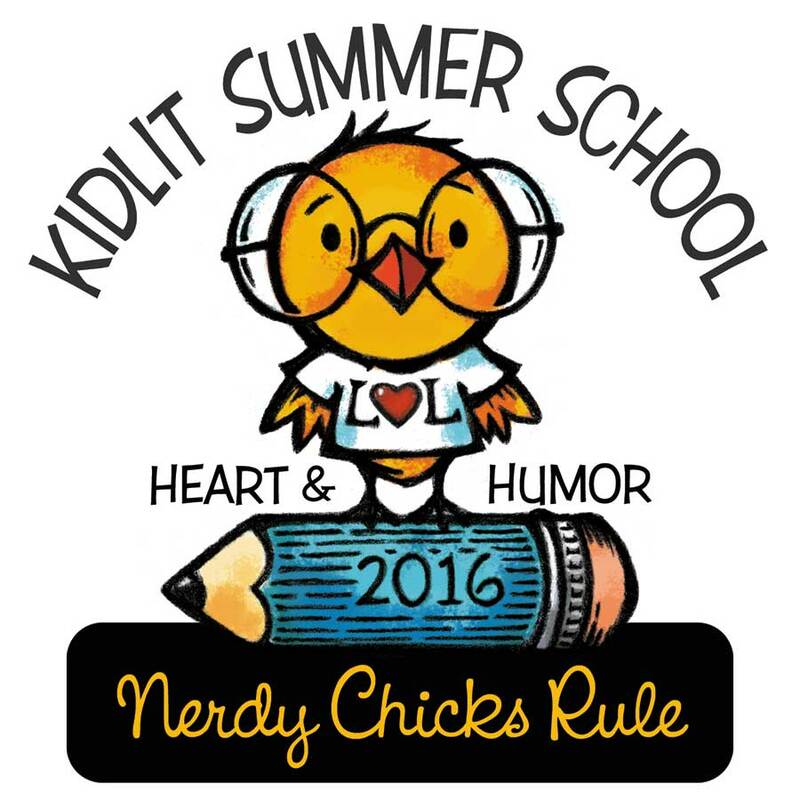 In 2016, Kidlit Summer School is all about exploring the art of Heart and Humor. From a daily blog post to #30mdare to a private Facebook group for all registered participants, KLSS is a fantastic, immersive experience for folks who write everything from picture books to YA. I couldn’t resist the chance to chat with founders Kami and Sudipta about how they make the magic happen. Check out our conversation . . . and find out why so many kidlit writers aren’t too cool for school! 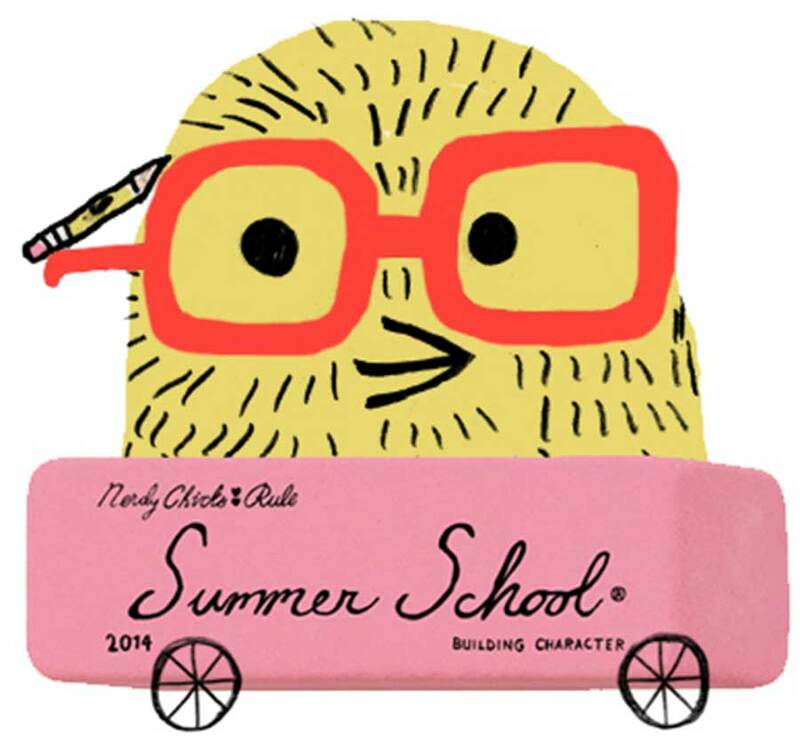 Q: Please share the story of Kidlit Summer School—where did the idea come from? Who makes it happen? And what’s the connection between KLSS and Nerdy Chicks Rule? A: Nerdy Chicks Rule was our original blog, and our posts there are loosely focused on any topic of interest to brainy females (or nerdy chicks, as we call ourselves). These posts include interviews, quotes, and personal essays. We talk about family, motherhood, education, society, history, humor, our own struggles and triumphs, and anything else we feel the nerdy chick would want to know. While we do cover topics related to writing, we purposefully didn’t create it to be a writing blog and wanted to keep it that way. But there came a point when we wanted to create a blog-based event for writers, and that it be something that was different and distinct from what is already available to the kidlit community. Since we both love to teach writing, we decided to focus on one aspect of craft each year. We had several brainstorming sessions and bounced around a lot of different ideas. When we came up with the idea of a “summer school” for writers, we knew we were on to something! 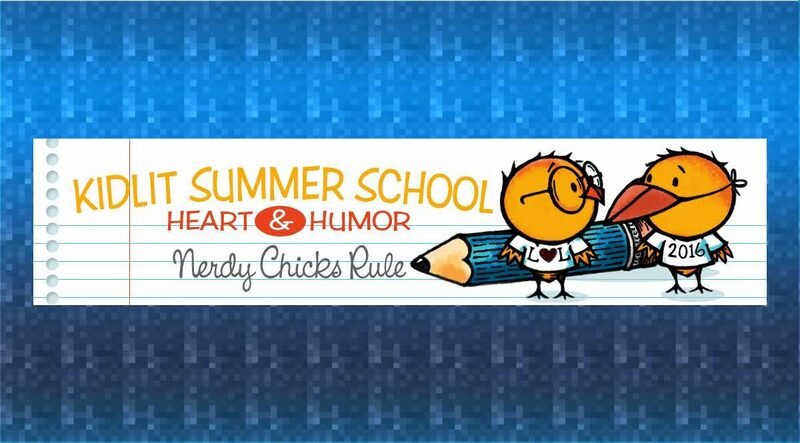 That is when the sister site, www.nerdychickswrite.com, was born to host Kidlit Summer School. When summer school ends, almost all of our posts, including those for writers, shift back to www.nerdychicksrule.com. A lot of great people make Kidlit Summer School happen. 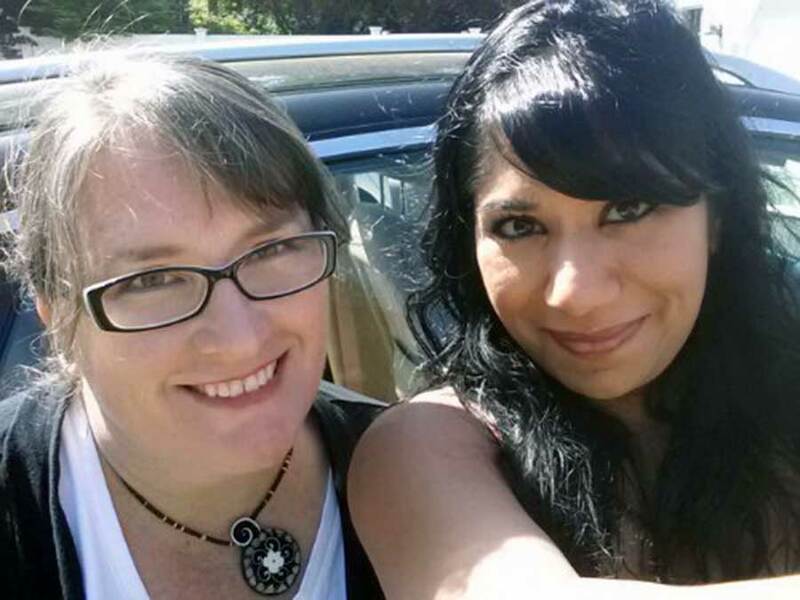 In addition to the two of us, we have a team of other authors on our Board of Education who help with the behind the scenes work like putting up blog posts, managing the Facebook page, and more. These fabulous ladies are Dawn Young, Leeza Hernandez, and Marcie Colleen. Each year a talented artist contributes the time to design our badge and banner. This year’s extremely cute design was created by Bonnie Adamson. In the past, we’ve had the good fortune to work with Zach Ohora and Joyce Wan. And, obviously, it is the contributing bloggers – or “Faculty,” as we like to call them, who do the lion’s share of the work that makes KLSS happen. By the end of our third Summer School, in addition to the two of us, we will have had 64 other unique faculty members share their expertise with our students. Q: Since we’re on the subject . . . can you share a little bit about yourselves? How did the two of you connect, what do you love to write and do you have any new titles coming out soon? A: We connected about twelve years ago in an airport in Pittsburgh waiting for an airplane to take us over to the Chautauqua writer’s conference hosted by the Highlights Foundation. Our flight was delayed, so we were crammed in a tiny waiting area with the pilot who was despondently eating a tuna sandwich from a paper bag. He didn’t look quite old enough to drive a car. When the plane finally arrived, it was pretty much the definition of a puddle jumper, so we nervously made jokes while silently praying we’d make it to the conference. The shared sense of humor kept us friends throughout the conference and ever since. Kami: My first two novels were humorous, and I really enjoy writing humor for an MG audience. But I also love fantasy. I’ve recently completed another humorous MG novel and am close to the completion of a new MG fantasy novel, so these are still with my agent. As far as books being released, I’m excited to announce that my first novel, THE BOY PROJECT, was just re-released this week as part of Scholastic’s WISH line. Sudipta: I write a little bit of everything – picture books, nonfiction, biographies, chapter books, young middle grade. I like to joke I write everything but kissing! In 2016, I had a bunch of titles come out in the MERIDA chapter book series with Random House. Those books will continue for a while! In 2017, I’ll be launching two new series, one called THE ADVENTURES OF CAVEBOY with Bloomsbury and the other called PURRMAIDS with Random House. I’ll also have picture books called BROBOT BEDTIME, illustrated by Scott Campbell and published by Abrams, RUTABAGA BOO, which was illustrated by our incredible Summer School artist, Bonnie Adamson and published by Atheneum and SPLATYPUS, illustrated by Jackie Urbanovic, as well as a picture book biography of Jackie Robinson’s time in the army, illustrated by R. Gregory Christie and published by Balzer + Bray. Q: How does KLSS work? There are blog posts, an exercise book, webinars and more . . . how do all the diverse pieces come together? A: Basically, it takes a lot of planning, brainstorming, and work to make it all comes together. The core content for KLSS can be found in the author blog posts posted from Monday to Friday on the website. Each post has an exercise to go along with it. These are free and downloadable to everyone who registers for KLSS! We offer these as enrichment, to give writers a chance to apply what they learned! Usually, the author of the daily post creates the exercise that goes with it. Using the badge and banner art, Leeza Hernandez designs the pages – and they look amazing. For webinars, we usually have a conference call involving everyone on the Board of Education and together we come up with industry professionals we’d like to host for a webinar. We try to offer something for everyone, so we like to include professionals who work on everything from picture books to YA novels, and we include editors, agents, and authors. Q: Can we talk about the #30m Dares? What inspired you to create these, how do they work and what do you hope KLSSers will gain from participating? A: We asked Rebecca Petruck to answer this question for us, since she has hosted the dares since the beginning. [Rebecca Petruck pops in] Hi! I started #30mdare in 2013 with a group of friends who, like me, all had our first books debuting in 2014. I think we were all jumpy pre-pub dates, not knowing what to expect for our dear books, and needed an outlet. The dares are 30-minute writing sprints, and the person who writes the most words in that time chooses a photo we all have to use as our Twitter avatar for at least a day–and there were some doozies. (One of the less frightening avatars is attached.) When Kami and Sudipta were planning the first year of KidLit Summer School, we thought something like #30mdare would be a fun way to encourage more interaction with students and try out all the great new tips they were learning in school. We modified it from true dares to prompts to spare anyone the humiliation of being a bronycorn for a day. 🙂 The prompts are a great way to encourage writers to think about their characters and stories in a new way, from a different POV or in an unexpected situation. So many students have shared about insights and breakthroughs they had while writing them, and many others have appreciated the exercise in turning off their inner editor. Sometimes writing can seem intimidating because we usually see only the finished product, not the miles of pages that came before the good stuff. 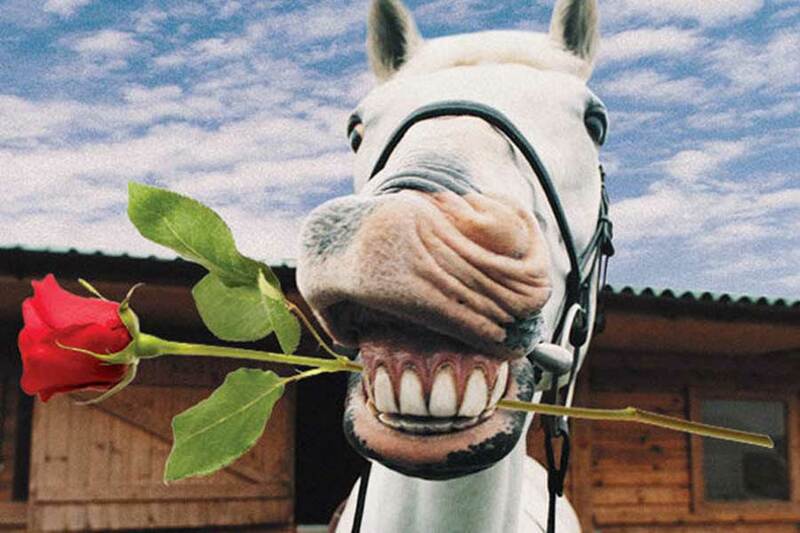 #30mdare is a great reminder not to take ourselves too seriously and to have fun. Q: Why do you think the kidlit writing community needs KLSS? What makes this endeavor so exciting and special? Another thing that we try to do with KLSS is to break down the elements of narrative and focus specifically on one thing at a time. Hopefully, this allows participants to understand things like plotting or character development at a very deep level. Again, because the lessons and advice come from so many different types of writers, our participants are exposed to viewpoints that they may never have considered before. The last thing we’ll mention about what we try to do with KLSS is to create a mentoring community. We both learned more about writing from other writers who were generous in sharing their craft than we ever did from reading or researching the concepts of writing. We wouldn’t be here at this point in our careers if we hadn’t had help from so many other people. Mentoring is important to both of us on an individual basis, and we think it’s important to pay it forward — that’s a huge reason we created KLSS. Q: Can you talk about the various themes of each year’s KLSS? This summer, the theme was Heart and Humor . . . what have previous year’s themes been and how do you choose them? A: Each year, we try to pick a theme that represents a fundamental building block of good and successful writing for children. There are so many elements to good writing that it’s hard to really rank them. But if you had to pick two, you would start with character and plot. That’s basically how we came up with the first two years, Building Character in 2014 and The Plot Thickens in 2015. Overall, one of the important things in choosing a theme is that the element be big enough to be relevant to the entire kidlit writing community. We want all our colleagues to want to participate and to be able to find things relevant to their own work each year. Q: KLSS 2016’s faculty was fantastic. How did you go about bringing such a great group together? Do many faculty members participate from one year to the next? A: Assembling the faculty each year is a very large task. We start by brainstorming people whom we admire, who we think can speak to the topic, and who are fun to work with. We also have authors come to us to request to be a part of KLSS, which is so flattering because it makes us feel like what we are trying to build is truly having a positive impact. We have been very lucky in that the authors who we have approached have been very supportive of KLSS, because the truth is that the success of summer school depends entirely on the contributions of the faculty. We organize the blog posts, we make the website look good, but they are the ones who bring the wisdom and the advice and the mentoring that makes KLSS such a wonderful community to be a part of. So far we have not repeated faculty members year-to-year as bloggers, except for Rebecca Petruck and her amazing 30m dares and for the week of “pre school” we added this year where we featured five bloggers from previous years. Again, we’ve been lucky that many of our faculty members still participate in the community of KLSS, even when they are not blogging. We would love to have all of our faculty back every year, but we also want the community to grow. And we really want to be able to showcase as many different viewpoints as we can. All those different opinions and approaches help to stimulate discussion, which in turn helps to facilitate learning. Q: What’s in store for KLSSers once summer school is over? A: Once summer school is over, we all breathe a sigh of relief and swear we will never do it again! Obviously, we’re joking, but it is such a huge undertaking that, at the end, we are quite exhausted and look forward to the end of the term. Still, there are some things for next year that will start almost immediately. We will start discussing the theme and brainstorm ideas on artists to approach to create the new banner and badge. We make sure our list of people who were too busy to participate this year but who would like to be included for the following year is complete, so that when we are ready in the spring to start inviting bloggers we make sure that we don’t miss anyone. And we both do quite a bit of teaching, at writing conferences around the country, at schools as visiting authors, through manuscript critiques, and in online classes at www.kidlitwritingschool.com, as well. And then, of course, we have our regular jobs of writing our own books and doing our families’ laundry and dishes and the like!